A retractable awning is a perfect addition to your home, particularly when it is hot! 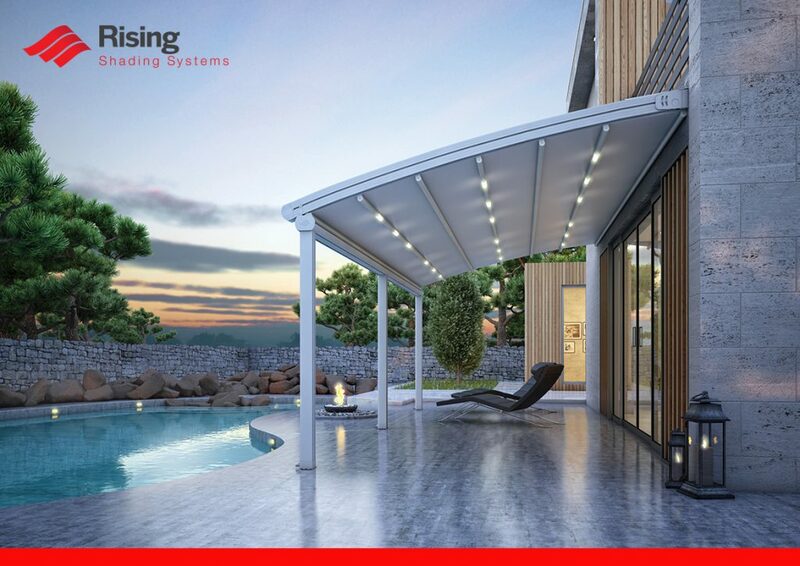 An awning can bring the down the temperature of your home considerably and also provide shade to the eating table and chair, or seating area outside. Plus, the fact that retractable awning is convertible and you can use it as and when required makes it worth the purchase. It also provides shade when the weather is incredibly hot thus saving energy spent on air conditioning. Here are some ways to maintain your awnings from the day to day ravages it undergoes. •Cleaning-Like everything else you should clean your awnings regularly as it prevents accumulation of dust and debris. If it is not cleaned for long, the awning will develop dust and stains. The accumulation of every day debris and dust will further damage the retractable awnings. You can either get the help of professional awning cleaners who can clean your awning at a good price or you can also do the job on your own, all you need is a soft bristle broom and some soapy water to clean the surface. •Protection- Though relaxing under the awning while you roast your meat or veggies on a charcoal sounds like a great idea. But the soot from the charcoal grill stains the awning. Soot can also cause permanent damage to the aesthetic value of your awning. So, you better do that under an open sky or under the smart awning. •Daily attention-Hanging twigs and leaves can permanently cause damage to the structure. The leaves from trees can cause stains on the canvas which requires you to use strong brushes and detergents that can cause the canvas to fade and cause the material to depreciate cutting down on the shelf-life of the awning to a great extent. •Mindful of tears– Sometimes due to sudden changes in the weather, your awning may develop certain tears and if you do not attend to the tears quickly these tears may get larger still permanently damaging your awning. So, you should always repair small tears as soon as they appear. For this immediate care and attention, you would have to inspect the awning regularly to avoid the occurrence of the tears getting large and causing so much damage to the awning that it becomes irreparable. •Install properly-When you own an awning make sure it remains protected from scratches when you switch it on or off. The constant abrasion will also cause the awning to tear. To avoid such circumstances ensure that the structure is properly installed and it does not lean on rough surfaces. •Retract when necessary– Retractable awnings are supposed to protect your home from the harsh sun and not strong gusts of wind. So when it is particularly windy, or there are hailstorms or snowing pretty heavily, remember to retract your awnings. Also, avoid jamming the front bar on to the rolled fabric. Ensure that the fabric rolls above the roller tube and not from under it. Continue to lubricate the arm to bring down friction. This helps extends the shelf-life of the awning. Now that you know all about how to maintain the folding arm awnings, take care of it and enjoy the proper functioning of the awnings for years to come.